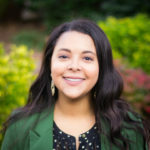 Jessica Perez joined the Classical Movements team in 2018, having previously worked as the Associate Producer with the American Pops Orchestra in Washington, D.C. Her passion for the arts developed at a young age, as both a violist and a vocalist. However, she chose to focus her career on bringing arts to the masses and earned her Bachelor’s degree in Music Business from Nazareth College in her hometown of Rochester, New York. She then went on to complete her Master’s in Arts Presenting and Live Entertainment Management from the University of Miami. During her time in Miami, Jessica curated artists for various projects; single-handedly produced a dance performance with all live, newly commissioned music and assisted in managing a summer-long opera and orchestra festival. Jessica still loves to sing but also enjoys reading, dancing and staying up-to-date on all things Disney.